Fundraiser for Bahr Academy by Gaynor Millican : Help Bahr Academy recover from hate crimes. 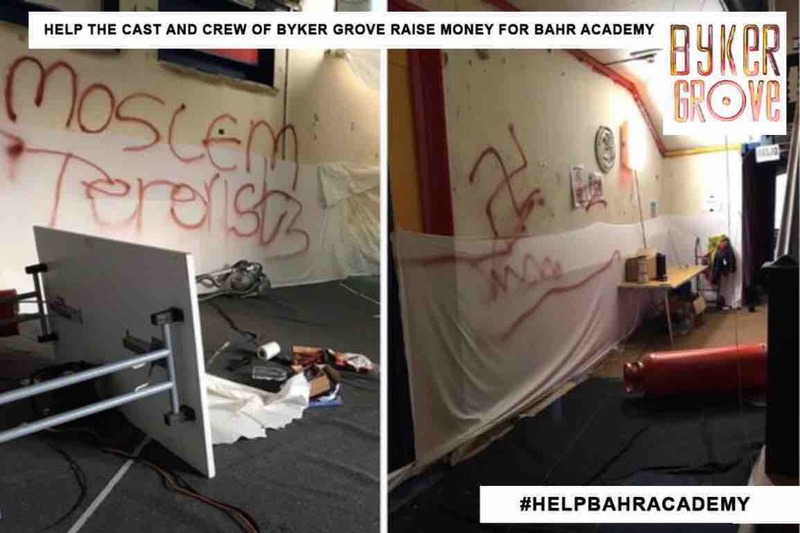 Help Bahr Academy recover from hate crimes. Bahr Academy, Islamic school & Madrasah has sadly, again, been the target of hate crimes. The building, which was once home to the set of children's TV series 'Byker Grove', has been attacked and vandalised with words including 'moslem terorist' and Nazi swastikas’. The cast and crew of Byker Grove, who hold this building and the community in their hearts would like to ask for your help raising awareness and money for the school and residents. We would like to help them with restoring the damage and improving security to hopefully prevent these horrendous crimes in future. "Bahr Academy (Bahrul Uloom) is the one and only full-time Islamic school & Madrasah in the North East of England based in Newcastle upon Tyne and established through the aid of sincere brothers and sisters from around the country. The grade II listed building has a varied history from the residency of the Bishop of Newcastle to a fire station during WWII, a TV set and now an Islamic school. Newcastle is a peaceful city and we cannot allow a few mindless thugs to cause divides amongst us or represent us. To attack a place where children are supposed to feel safe is unacceptable. Please help Bahr Academy move past this terrible event.